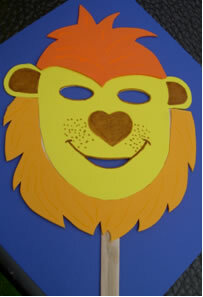 These masks are great fun and with these the possibilities are endless. They are just a blank canvas so your child’s imagination can just run away with them, you will amazed what they come up with. These can either be made into a creature, a person, or whatever your child decides. They can be decorated with most things and Berni will discuss with you what is likely to be best for the age range of children attending your party.